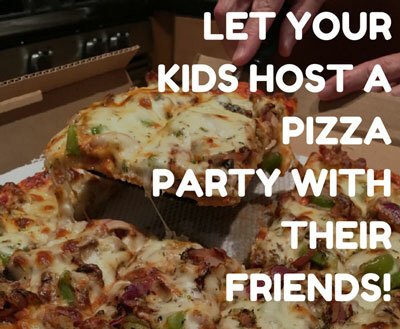 A kids homemade pizza party is fun for all ages. 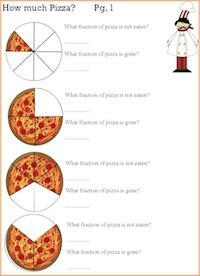 It is a great way to celebrate a birthday or any celebration by letting kids create their own pizza. 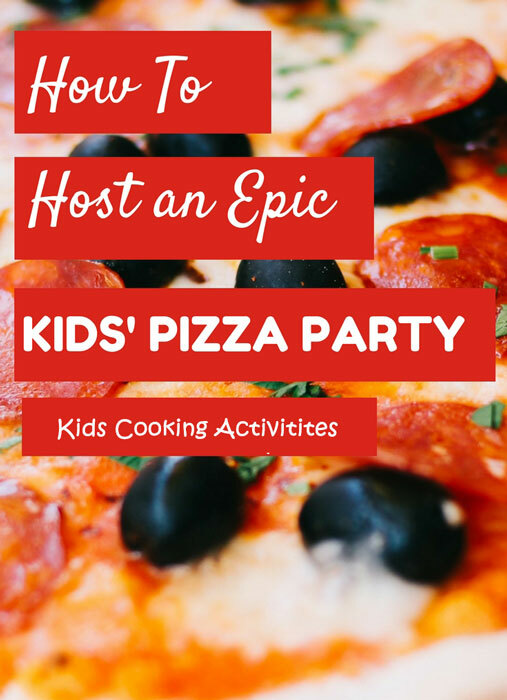 For this kids cooking party, you will want to write down the homemade pizza recipe below. Create one for each child that will be at the party. This will give them each a chance to follow the recipe while they are preparing the menu. It is also a good idea to include an extra one for them to take home, one that won't get messy. They can impress their own family with what they learned at the cooking party. It is also a good idea to write the menu on a sheet of paper hung on the wall or chalkboard. You can even make this look like a restaurant menu. Once you know the number of children coming go through the list of things needed especially utensils, bowls, etc. If you need extra ask friends or family if you can borrow some items for the kids homemade pizza party. Masking tape. To label kid chefs name on the pans. Send out invitations. We have several to choose from. Line kitchen tables or any large table with a plastic tablecloth or white butcher paper. Set up table with toppings and spoons, a bowl of sauce and pizza pans. If you have more than 6 children double this recipe. Dissolve yeast in warm water and add a dash of sugar. Meanwhile, in mixing bowl add flour, salt, oil and Italian seasoning. When yeast is bubbly and ready pour into flour mixture and blend. Form into a ball and place in a oiled bowl. Let rise 30-60 minutes. Prepare pizza toppings and place in bowls on table. To start this kids homemade pizza party divide dough into balls one for each child. Have each child roll with rolling pins or use their hands to shape their ball into a round circle. Place on cookie sheets or pizza pans. Several children can share a pan. Have each child put their name next to their pizza with masking tape. 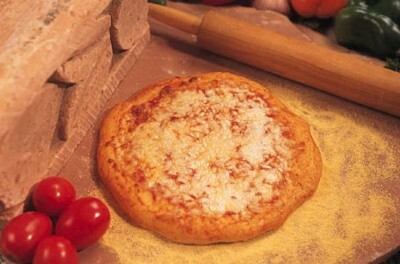 Prepare pizza by spreading sauce over their pizzas with a spoon, top with cheese and desired toppings. Have an adult bake at 450 degrees for 10-15 minutes. Depending on the size of your oven you might have to bake the pizzas one pan at a time. While waiting for all the pizzas to cook, prepare a dessert or other recipe you have planned, decorate aprons, chef hats or play cooking games. 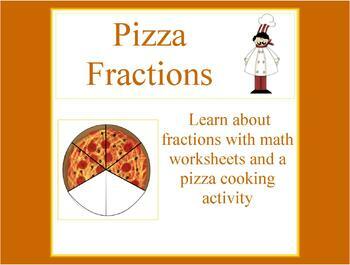 If you have an older group of kid chefs they might like to prepare the dough also. If doing this step, prepare dough in mixing bowl with children taking turns helping add and mix ingredients. While dough is rising do another scheduled activity. 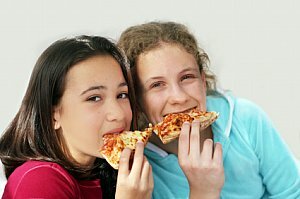 Here are more pizza dough recipes and ideas of what you can create for a pizza party. 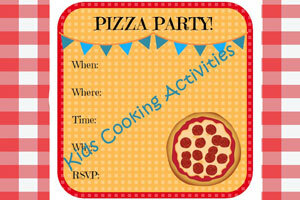 More party ideas from Kids Homemade Pizza Party.